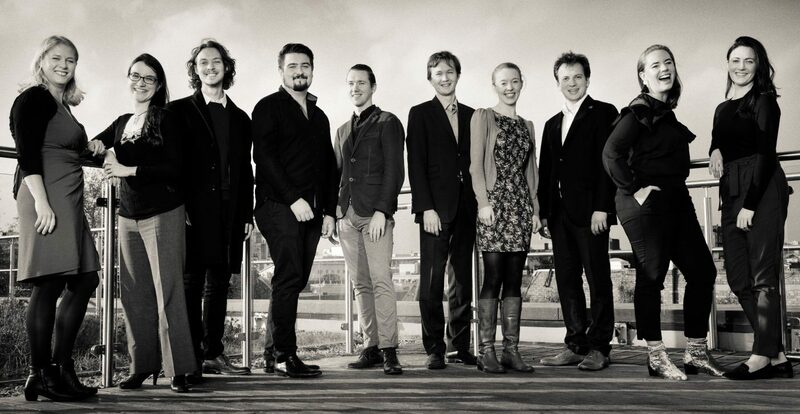 Eclectic alternative-folk group Tir Eolas was formed four years ago at the Royal College of Music. 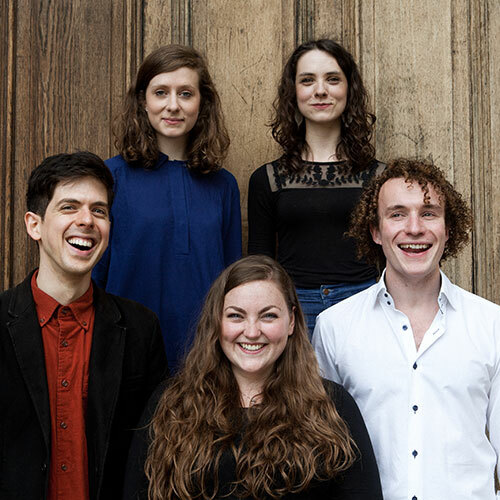 The band – Philippa Mercer, Ruairi Glasheen, Laura Snowden, Georgie Harris and Hedi Pinkerfeld – draw on their Celtic and English folk roots to create their unique combination of traditional folk songs. Having started out busking on the streets of London, in recent times the band have performed together at: Bestival; Cecil Sharp House for the English Folk Dance and Song Society; the City of London Festival; Milton Court Concert Hall; Ronnie Scott’s Jazz Club; and Cambridge Summer Music Festival. In July 2013, the band’s performance for BBC Proms Plus at the Royal Albert Hall was broadcast on BBC Radio 3 alongside the poetry of Richard O’Brien. The group are passionate about sharing folk music with one and all, and give regular performances in community settings including: hospitals, hospices and homes for the elderly (working alongside individuals living with dementia); special needs schools; centres for refugees; and centres for adults with learning disabilities. Such activity is frequently undertaken in partnership with specialist outreach organisations ranging from Live Music Now to the Tri-Borough Music Hub and RCM Woodhouse Centre. Tir Eolas would like to thank the Royal College of Music, the City Music Foundation and the Concordia Foundation in particular for their continued support and encouragement.